The Competition Act 2002 (the Act), in conjunction with various regulations, forms the competition regime in India. While there are many sectoral regulators responsible for maintaining fair competition in their respective sectors, the Competition Commission of India (CCI), established under Section 7 of the Act, is the principal regulator for anticompetitive behaviour across all sectors. Provisions of Section 3 of the Act and various regulations, particularly the Competition Commission of India (Lesser Penalty) Regulations, 2009 (Leniency Regulations), deal with anticompetitive agreements, including cartels. 'Cartel' has been defined under the Act to include 'an association of producers, sellers, distributors, traders or service providers who, by agreement among themselves, limit, control or attempt to control the production, distribution, sale or price of, or, trade in goods or provision of services'. Therefore, to establish the existence of a cartel, the existence of an 'agreement' needs to be proved first. directly or indirectly result in bid rigging or collusive bidding. The CCI is the enforcing body, assisted by its investigative arm, the office of Director General, CCI (DG). Most cartel investigations have been initiated by the CCI upon receipt of information either as a complaint or a leniency application, although the CCI has also initiated suo moto action or has initiated proceedings upon receipt of a reference made by a government or statutory authority. The CCI directs the DG to commence an investigation if it is of the view that there exists a prima facie case warranting an investigation. The DG cannot initiate an investigation suo moto. Once the DG submits an investigation report to the CCI, the CCI can either direct the DG to investigate further or it can continue with its inquiry and call upon the parties to make written and oral pleadings. On reaching a positive finding of the existence of a cartel and any resulting infraction, the CCI may impose a penalty and pass any other order that it deems fit. The order of the CCI can be appealed before the National Company Law Appellate Tribunal (NCLAT).2 Any order of the NCLAT is finally appealable before the Supreme Court of India (SC). The penalty that may be imposed in the case of any anticompetitive conduct cannot be more than 10 per cent of the average of the turnover3 of the contravening enterprise for the three preceding financial years. However, in the case of a cartel, the CCI can impose a penalty of up to three times the profit of the contravening enterprise or 10 per cent of the turnover of the contravening enterprise, for each year of the continuance of the cartel, whichever is the greater. Recently, the SC held that the penalty to be imposed on enterprises for violation of provisions of the Act should be calculated on the basis of relevant turnover of the enterprise and not the total turnover, that is to say turnover pertaining to products and services that have been affected by a contravention4 and not the total turnover. Further, the directors and other employees of the contravening entity found responsible can also be penalised under the Act. There are no criminal sanctions in India for cartelisation. However, non-compliance with the orders of the CCI or the NCLAT can attract criminal liability. The substantive provisions of the Act dealing with anticompetitive behaviour have only been in force since 2009. Competition jurisprudence is still developing in India. Both legal practitioners and the CCI rely on cases decided upon by the courts of the United States and the European Commission for guidance. The CCI has not issued any policy or guideline for cartels. Cartel enforcement has been a focus for the CCI since the beginning but has taken time to gain traction. During the past year, the CCI has been aggressive in investigating cases relating to cartels. Apart from imposing monetary penalties on several companies, including their officers, the CCI has also conducted dawn raids on companies found to be active in the alcoholic beverage and dry cell battery markets. As at November 2018, the CCI has passed a total of 72 orders (of which 12 have been in 2018) penalising companies (including their officers) for cartel infringements. The total in monetary fines imposed by the CCI for cartel infringements to date is approximately 80 billion rupees (fines totalling more than 5 billion rupees have been imposed in the past year alone). The CCI has been adopting a more cautious approach to penalties since the judgment of the Supreme Court of India (SC) in Excel Crop Care Limited. v. Competition Commission of India (Excel Crop), in which the SC interpreted the turnover to be 'relevant turnover' and laid down guidelines and procedures to be followed by the CCI while imposing penalties. Since Excel Crop, the CCI has been imposing penalties on relevant turnover or profit and providing more detailed reasons (i.e., after considering aggravating or mitigating factors) for imposing penalties. The year 2018 has been interesting as the CCI passed four orders in cases involving leniency applications. Each of these orders provides an insight into the factors that are considered by the CCI while deciding the penalty and immunity of the respective cartel members who have claimed immunity. Notably, in 2018, the CCI also passed a leniency order in which for the first time it granted a 100 per cent reduction in penalty to the first applicant, which enabled the CCI to form a prima facie opinion regarding the existence of the cartel. In terms of the procedural aspects, the NCLAT has remanded several important cartel cases to the CCI for procedural improprieties. After hearing afresh, the CCI reimposed penalties in all these cases. Further, in a major win for the CCI, the NCLAT upheld the CCI's order imposing penalties on 11 cement companies and trade associations for cartelisation in the cement industry. The CCI has been granted extraterritorial jurisdiction over any anticompetitive conduct occurring outside India if such conduct has caused or is likely to cause an AAEC within India. To date, the CCI has not exercised this extraterritorial jurisdiction. Section 18 of the Act permits the CCI to enter into any memorandum or arrangement, with the prior approval of central government, with any agency of any foreign country for the purpose of discharging its duties or performing its functions under the Act. The CCI has executed memoranda of understanding on cooperation with several competition agencies, including those of the United States, the European Union and Australia, in an attempt to set up a framework for cooperation and exchange of information. The scope and content of these arrangements are not publicly known. It is believed that there is a fair amount of coordination and dialogue with regulators in other jurisdictions through the International Competition Network and other channels, although there is no provision permitting the CCI to share information or documents with other jurisdictions without the consent of the concerned parties. As mentioned in Section II, an action taking place outside India but that has or is likely to have an AAEC in the relevant market in India may be the subject of an inquiry by the CCI under Section 32 of the Act. The leniency policy in India is governed by Section 46 of the Act read with the Leniency Regulations, which set out the requirements for qualification, the procedure to be followed for the imposition of a lesser penalty and the benefits available. The Leniency Regulations provide for a reduction in the penalty of up to 100 per cent if an applicant makes some vital disclosure about the existence of a cartel to the CCI and if no reduction in penalty has been granted to any other applicant by the CCI. This benefit of reduction in penalty would be given to an applicant only if the CCI did not have sufficient evidence, or any evidence at all, to establish the existence of a cartel. In August 2017, far-reaching amendments were made to the Leniency Regulations (2017 Amendment). By way of the 2017 Amendment, the scope of an 'applicant' under the Leniency Regulations has been expanded to specifically include an individual who has participated in a cartel on behalf of an enterprise to make a leniency application to the CCI for a grant of a lesser penalty. Further, the 2017 Amendment provides an option to an enterprise making a leniency application, to include the names of individuals involved in the cartel (on behalf of the enterprise) for whom it wishes to seek a lesser penalty. The most laudable development pursuant to the 2017 Amendment is that the grant of a reduction in penalty to an applicant (including an individual) who meets the conditions required is now mandatory. Prior to the 2017 Amendment, it was at the discretion of the CCI to reduce a penalty and by how much, if at all. However, the percentage by which a penalty would be reduced is still discretionary and there is still no guarantee of a full reduction. The leniency regime also sets out a marker system for applicants. An applicant can approach the CCI on a no-names basis and provide details of the infringement and the evidence in its possession. The CCI will employ a priority status based on the time of the initial contact. The first applicant to contact the CCI, albeit orally, will be given the status of first applicant. If the initial contact is oral, the applicant will need to ensure that the documentary evidence is provided to the CCI within 15 calendar days of receiving a direction from the CCI to submit the application. Failure to do so will result in the loss of the priority status. The Act and applicable regulations do not provide for any specific guidance as to the nature and level of detail of the evidence required. Once a marker has been given, the CCI does not deal with another applicant until a decision regarding the first applicant has been made. not concealing, destroying, manipulating or removing the relevant documents in any manner that may contribute to the establishment of a cartel. Subsequent applicants may be granted a reduction in penalty on making a disclosure by submitting evidence that, in the opinion of the CCI, may provide significant added value over and above the evidence already in the possession of the CCI or the DG to establish the existence of a cartel. The applicant marked second in the priority status may be granted a reduction of up to 50 per cent of the leviable penalty, while the applicant marked third or later in the priority status may be granted a reduction of up to 30 per cent of the leviable penalty. Neither a successful nor an unsuccessful applicant for leniency is given immunity from civil claims. In terms of the applicable regulations, no leniency application can be entertained after the DG's investigation report is received by the CCI. As such, under the Leniency Regulations, the CCI grants confidentiality regarding the applicant's identity, and the information and evidence furnished by an applicant. However, pursuant to the 2017 Amendment, the DG is allowed to disclose the information and evidence furnished by an applicant to any party if the DG deems the disclosure necessary for the purposes of the investigation. Nevertheless, disclosure can only be made after obtaining prior approval from the CCI in the form of a reasoned written order. As at November 2018, the CCI has passed five orders in cases involving leniency applications (of which four were passed in 2018). In 2018, the CCI granted a reduction in penalty to leniency applicants in three cases. The trend in recent leniency cases indicates that the CCI will consider granting a 100 per cent reduction in fines or complete immunity only when the leniency applicant has disclosed evidence relating to the cartel that the CCI has used as the basis for starting its investigation. In April 2018, companies involved in the supply of zinc-carbon dry cell batteries were found guilty by the CCI of fixing prices and restricting output. The CCI initiated an investigation pursuant to a leniency application filed by Panasonic Japan for itself and its Indian subsidiary, Panasonic India. During investigations, the DG carried out simultaneous search and seizure operations (dawn raids) at the premises of Eveready, Nippo and Panasonic India and seized incriminating material and documents. While the DG's investigation was in progress, Eveready and Nippo, also filed leniency applications with the CCI. While considering the leniency applications, the CCI granted Panasonic and its individuals a 100 per cent reduction of their penalty; Eveready, and its individuals, a 30 per cent reduction in the penalty; and Nippo and its individuals, 20 per cent reduction in penalty. The order provides an insight into the factors that are considered by the CCI while deciding the penalty and immunity of the respective cartel members who have claimed immunity. The CCI noted that the leniency application filed by Panasonic Japan made true and vital disclosures, which enabled the CCI to form a prima facie opinion regarding the existence of the cartel. In May 2018, the CCI granted partial leniency to four of six leniency applicants involved in bid rigging relating to tenders floated by Pune Municipal Corporation for procurement of municipal organic and inorganic solid waste processing plants. The CCI started the investigation pursuant to a complaint filed by Nagrik Chetna Manch (a public charitable trust based in Pune). During the course of investigations, all six parties under investigation filed leniency applications. The CCI granted a 50 per cent reduction to the first applicant since it did not file the leniency application until a later stage in the investigation when some evidence had already been collected. In July 2018, the CCI granted a 100 per cent reduction in penalty to leniency applicants Globecast India Private Limited and Globecast Asia Private Limited (collectively referred to as Globecast), and their respective responsible officers, for bid rigging in tenders floated by various sports broadcasters for the procurement of broadcasting services in India. It has also granted a 30 per cent reduction to Essel Shyam Communication Limited (now Planetcast Media Services Limited) (ESCL) and their responsible officers. The CCI initiated its investigation pursuant to a leniency application made by Globecast whereby it disclosed the existence of a bid-rigging arrangement between ESCL and Globecast. Under the Act, in the case of cartels, the CCI has the power to impose a penalty of up to three times the profit or 10 per cent of the turnover of each participating enterprise for each year of continuance of a cartel agreement, whichever is the greater. If an enterprise is a 'company', any of its directors or officials who are guilty are also liable to be proceeded against. Step 2: determining the appropriate percentage of penalty based on aggravating and mitigating circumstances. The guidelines laid out by the SC will help to eliminate the application of disproportionate penalties on enterprises and demonstrate appropriate mitigating circumstances for the imposition of a lesser penalty. In addition to the imposition of penalty, the CCI may also pass orders, inter alia, directing the parties to terminate the agreement and to refrain from re-entering such an agreement, or to modify the terms of the agreement. The Act does not provide for criminal liability other than for wilful default in implementing orders issued by the CCI. Non-compliance with CCI orders may result in a fine of up to 250 million rupees or imprisonment for up to three years, or both, while non-compliance with orders issued by the NCLAT may lead to a fine of up to 100 million rupees or imprisonment for up to three years, or both. The information received from an 'informant' or collected suo moto is reviewed by the CCI to determine whether there exists a prima facie case that warrants an investigation by the DG. Both the CCI and the DG have been conferred with the same powers as those conferred on an Indian civil court, including the power to summon any person and enforce his or her attendance, and powers of discovery and enforcement of production of documents. Additionally, the DG has been vested with the power to conduct searches and seizures. Following the repeal of the Companies Act 1956 and the enactment of the Companies Act 2013, the DG is no longer required to obtain a court-issued warrant to conduct a search and seizure. According to media reports in October 2018, the CCI raided the offices of three top beer producing companies – United Breweries Holdings Limited, Carlsberg A/S and Anheuser-Busch InBev SA/NV – as part of an investigation into an allegation of cartelisation in the beer market. The Act does not provide for the private enforcement of rights. Compensation claims for damages by private parties have to be filed before the NCLAT. The NCLAT is yet to pass an order addressing a claim for damages. As per the Act, such claims can be made either after the CCI arrives at a finding of contravention, or after the NCLAT arrives at a finding of contravention if the decision by the CCI is appealed. However, as a matter of practice, the NCLAT awaits the decision of the SC on merits before proceeding to hear compensation claims. The Metropolitan Stock Exchange has filed an application seeking compensation from the National Stock Exchange of India (NSE) for abusing its dominance to oust players from the market. However, the NCLAT has deferred hearing the compensation application until the SC decides whether the NSE abused its dominance or not. Similarly, in two other cases,11 compensation applications were filed by Crown Theatre against Kerala Film Exhibitors Federation for facilitating cartelisation between film distributors to deny the screening of Tamil and Malyalam films in the State of Kerala, and by Sai Wardha Power Limited against Coal India Limited for abuse of dominance in the market for the production and supply of non-coking coal to thermal producers in India. Both are currently pending before the NCLAT. Although damages jurisprudence is yet to develop in India, it is possible for one or more persons, with the approval of the NCLAT, to file compensation claims on behalf of many. If a loss is shown to have been suffered by a party as a result of a contravention of the substantive provisions of the Act, the suffering party can approach the NCLAT for an award of restitutive compensation. If many persons have suffered loss or damage from an action of the same enterprise or group of enterprises, an application for an award of compensation can be made by just one of those persons on behalf of them all. However, since the quantum of the fine is indicative of the severity of the offence, it may be an important factor that is considered when calculating the award. 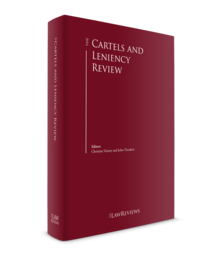 Apart from the significant amendments in the leniency regime and leniency orders, there have been some notable decisions in relation to cartel enforcement in India during the past year. In October 2018, the SC set aside an order passed by the CCI penalising 45 manufacturers of liquefied petroleum gas (LPG) cylinders for cartelising and bid rigging in a tender floated by Indian Oil Corporation Limited for supplying 14.2kg-capacity LPG cylinders. The SC observed that price parallelism is not sufficient to prove concerted action. The market conditions prevalent were that of an oligopsony and parallel behaviour was not the result of any concerted practice. It was observed that in a oligopsony, parallel pricing simpliciter would not lead to the conclusion that there was a concerted practice and there has to be other credible and corroborative evidence. In September 2018, the Delhi High Court upheld the DG's right to expand the scope of investigations and investigating individuals. Earlier, the CCI had passed an order directing the DG to investigate the conduct of certain pharmaceutical companies and an association (a prima facie order); however, Cadila Healthcare Limited (Cadila) was not named as an opposite party in the prima facie order. During the investigation, the DG issued notices to Cadila seeking certain information. After submission of the DG's investigation report, Cadila became aware that it is also under investigation. Aggrieved by its inclusion in the investigation, Cadila filed a writ petition before Delhi High Court challenging the jurisdiction of the CCI and the DG to investigate Cadila's conduct. The Court observed that, based on the prima facie order, the DG was directed to look into the subject matter and could expand the scope of its investigation to include parties that are not named in the prima facie order, including third parties. Further, the subject matter of the case includes not only the one alleged party, but other allied and unenumerated ones, involving others (including third parties). In July 2018, the NCLAT upheld the 63 billion rupee penalty imposed by the CCI on 11 cement companies and their trade association, the Cement Manufacturers Association (CMA), for price-fixing and limiting and controlling the production and supply of cement. The NCLAT observed that the cement companies were utilising the platform of their trade association, the CMA, to discuss prices and other sensitive information relating to production, capacity, dispatch, inter alia. In September 2018, the CCI imposed penalties on 18 sugar mills and two trade associations (the Indian Sugar Mills Association and Ethanol Manufacturers Association of India) for rigging the bids in respect of a joint tender floated by oil marketing companies in 2013 for the procurement of ethanol for blending with petrol. Under the order, a total penalty of 3.805 million rupees was imposed on the sugar mills and their trade associations. In September 2017, the Bombay High Court set aside the CCI's order directing an investigation against telecommunications operators, namely Bharti Airtel Limited, Vodafone India Limited and Idea Cellular for forming a cartel to limit the entry of a new player, Reliance Jio. The Court held that, while in principle the CCI could exercise jurisdiction over enterprises and persons regulated by their respective sectoral authorities, in this particular case the core of the allegation was governed by contracts falling within the purview of regulations issued by the Telecom Regulatory Authority of India (TRAI) and the terms of their licences issued by the Department of Telecommunications. Therefore, any dispute relating to the interpretation and regulation of such points of interconnection fell within the exclusive domain of authorities constituted under the TRAI Act. Separately, by way of a notification dated 4 July 2018, the Ministry of Corporate Affairs granted an additional three-year extension to the vessel sharing agreement (VSA) exemption in the liner shipping industry. This exempts VSAs from scrutiny under Section 3 (i.e., anticompetitive agreements) of the Act. The applicability of the VSA exemption extends to carriers of all nationalities, operating ships of any nationality from any Indian port as long as the agreements do not include concerted practices involving price-fixing, limitation of capacity or sales, or the allocation of markets or customers. 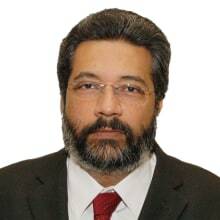 1 Farhad Sorabjee and Amitabh Kumar are partners at J Sagar Associates. 2 The National Company Law Appellate Tribunal replaced the Competition Appellate Tribunal with effect from 26 May 2017. 3 Turnover is to be interpreted as relevant turnover as held by the Supreme Court in the case of Excel Crop Care Ltd v. Competition Commission of India, Civil Appeal No. 2480 of 2014. 5 Neeraj Malhotra v. Deutsche Post Bank Pvt Ltd, Case No. 05 of 2009. 6 Notification No. SO 1933(E) [F.No.5/20/2011-CS]. The exemption to vessel-sharing agreements has been repeatedly granted since 2013. 7 In Re: Alleged Cartelisation in Flashlights Market in India. 8 In re: Consim Info Private Limited v. Google Inc. USA and Ors., Case Nos. 07 and 30 of 2012. 9 In Re: M/s Nuziveedu Seeds Limited and Ors. v. Mahyco Monsanto Biotech (India) Limited and Ors., Case No. 107/2015. 10 In Re: Cartelisation in respect of zinc carbon dry cell batteries market in India, suo moto Case No. 02 of 2016. 11 Crown Theatre v. Kerala Film Exhibitors Federation, CA (AT) (COMPAT) No. 1 of 2017 in Competition Appeal (AT) No. 16 of 2017; Sai Wardha Power Ltd v. Coal India Ltd & Ors, Transfer CA (AT) (Compensation) No. 01/2017.